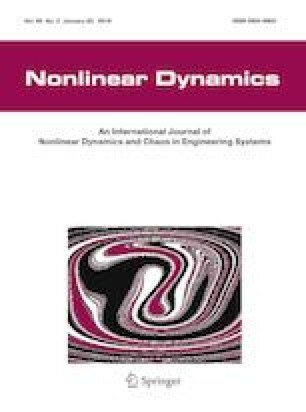 A new identification approach for a nonlinear system with hysteresis, namely a cascading Bouc–Wen hysteresis model with linear dynamics, is proposed in this study. The properties of the Bouc–Wen model are analyzed under specific inputs. These properties play important roles in the parameter identification procedure. Unlike the commonly used iterative search or two-step identification scheme, the proposed approach completely decouples the identification tasks of linear and nonlinear parts and transforms each task into a linear task without iteration. First, a set of equations based on the aforementioned properties is developed. These equations enable the least squares estimation of all the parameters involved in linear dynamics with the use of the designed input signals and extended state estimation. Second, after the linear part is obtained, the hysteresis output is observed and used to establish the least squares estimation of all the parameters in the nonlinear part based on its input–output data. Simulation studies are performed to demonstrate the effectiveness of the proposed approach. This work was supported by Promotion Program for Young and Middle-aged Teacher in Science and Technology Research of Huaqiao University (Grant ZQN-PY408, Z14Y0002), National Natural Science Foundation of China (Grant 61403149), Natural Science Foundation of Fujian Province (Grant 2015J01261, 2016J05165), and Scientific Research Fund of Hunan Provincial Education Department (Grant 15B238).